Our world class R&D centres are the driving force behind our track record of successful innovation in filtration and tubing systems. Allmed is a recognised leader in designing and delivering hollow fibre membranes. Our in-house capability allows us to design membranes with bespoke properties to suit specific applications, for both blood and fluid purification. From ultrafiltration to diffusive permeability all the way to fibre structure and shape, our in-house capability allows us to design membranes with bespoke properties to suit any, and all care applications. But we go beyond membrane development. Our R&D teams are driven to create a real difference, and take technology further. From polycarbonate to polypropylene to ABS, Allmed utilises a variety of different materials to design and develop housings and casings to create a filtration module for any desired application. Finally, our instant access to many sterilisation methods allows us to deliver devices up to their very end stage. Our membrane development unit is conveniently located adjacent to our fibre spinning facilities in northern Germany. We’ve built our reputation by delivering innovative solutions and outstanding performance from our in-house tubing solutions team. Allmed has a comprehensive in-house operation developing exceptional tubing systems for a wide range of applications. From design to development, extrusion to assembly, integrity-testing and finally sterilisation we assure the highest levels of patient care and performance. We start by understanding the specific purpose of a therapeutic application and work towards engineering the most effective and cost-efficient system. We interrogate everything to create world class extracorporeal applications. Once designed, we rigorously test everything. 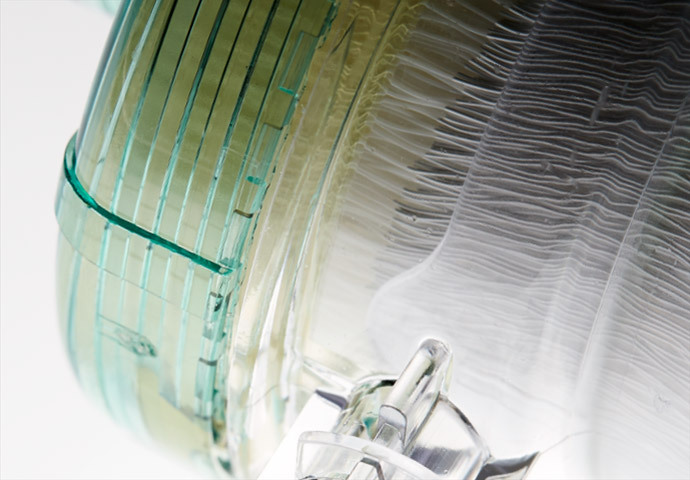 Our access to in-house high precision extrusion lines, as well as internal and external componentry, enables us to develop a complete blood or fluid line delivering transport, measurement and control functions, to exact specifications. The application of expert renal therapies can mean the difference between life or death at any stage. But it rarely gets more critical, or more challenging, than it does when dealing with the very youngest of renal care patients. Thanks to advances in neonatal care, babies born with complex medical and surgical challenges, preterm or low birthweight newborns are increasingly expected to survive the neonatal period. This, of course, is great news – but it does present an increasingly complex set of challenges of its own. As a result, physicians face an increasing demand to support neonates and small infants with acute kidney injury (AKI) or medication-resistant oedema. Improving the quality of care for AKI, a sudden and potentially deadly decline in kidney function, is critical, as approximately 25 percent of preterm infants develop the condition. need longer stays in hospital and to have a lower chance of survival. So early identification – and treatment – of the condition is critical. Providing Renal Replacement Therapy (RRT) in this population is technically challenging and sometimes simply not possible. But, because of our commitment to continual innovation, it’s something we’ve been focussing on since our inception. As a result, we’re proud to have helped develop the new treatment modality of choice for this most sensitive of clinical interventions. The NIDUS® Infant haemodialysis system is designed to clear solutes and fluids of the blood in babies weighing from 800g up to 8kg. 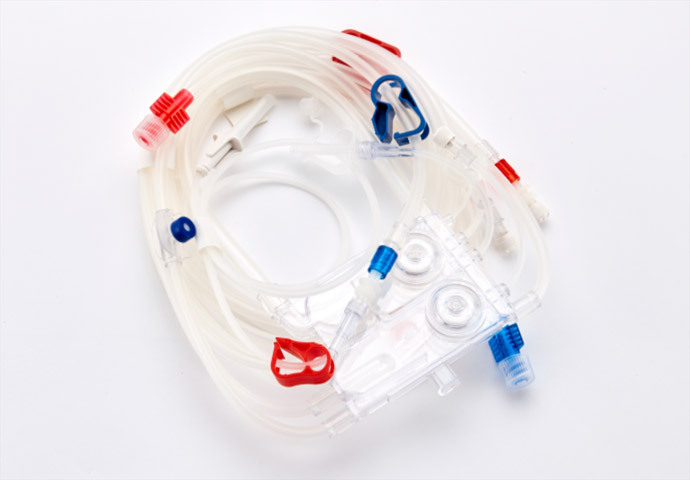 Using only a single lumen catheter for access, the NIDUS® provides greater clearances and precise control of water balance compared to conventional peritoneal dialysis (PD) and can avoid the inappropriate use of Adult RRT machines. 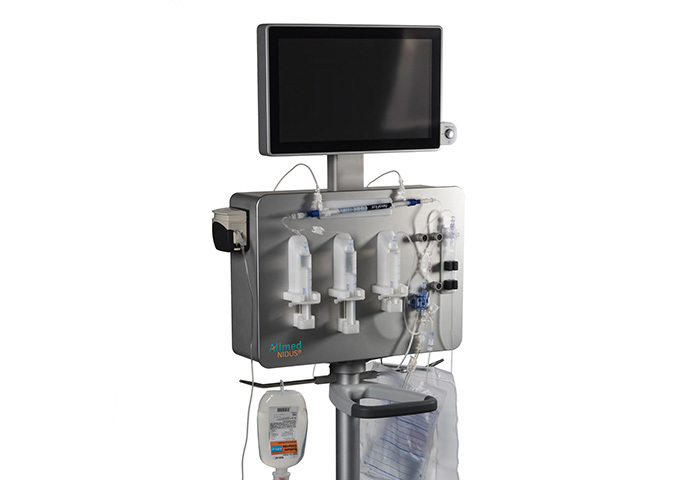 With a CE mark pending the NIDUS® machine sets a new global standard in infant extracorporeal dialysis therapies.